Olav Lindquist has more than 28 years of experience as executive in the semiconductor industry, serving both industrial and consumer markets. He holds a MSc in Electrical Engineering from the Norwegian University of Science and Technology. He started his career in 1990 as a Managing Director at CSN in Norway. In 1993, he joined Telenor, as a Sales Manager. In 1995, he joined Nordic Semiconductor in Trondheim, Norway, as Director of Sales. In 1998, he started the Data Converter Unit with Nordic as a Director of this Unit. From 2002 to 2005, he was Director of Marketing with Fairchild Semiconductor's Analog Signal Path division in Colorado Springs, US. In 2007, he co-founded Arctic Silicon Devices (ASD) where he was VP of Sales and Marketing. He was responsible for building and managing a worldwide network of regional sales managers and distributors. In 2011, he was instrumental in ASD's successful exit to Hittite Microwave Corp. At Hittite, he served as Director of Business Development and later Managing Director. 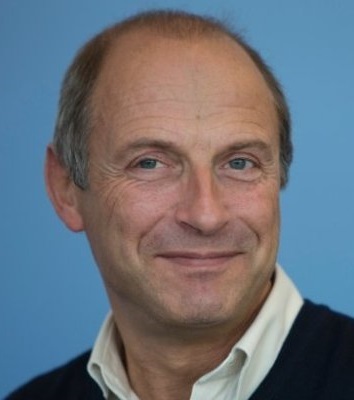 After the acquisition of Hittite by Analog Devices in 2014, he became the Managing Director for Analog Devices' high speed ADC design center in Trondheim, Norway. Olav is currently serving as Vice President of Sales at Eltorque in Trondheim, a company specializing in electric actuators for intelligent valve control. In addition, he joined the board of multiple start-up companies in Norway. Patrice Gamand has more than 30 years of engineering and management experience in the semiconductor industry. He is internationally recognized for its expertise in the field of analog and RF IC design. He received the Ph.D. degree in microelectronics from the University of Lille, France. In 1984, he joined Philips Research Laboratories, Limeil-Brevannes, France, where he has been involved with microwave and millimeter-waves ICs in III/V technologies. In 1993, he joined Philips Semiconductors, Caen, France, where he developed read/write BiCMOS amplifiers for hard-disk drives (HDDs). In 1998, he joined the telecommunication activity by managing the cellular RF application-specific integrated circuit (ASIC) development. In 2001, he joined the Competence Centre RF, Philips Semiconductors, successively as a Development Services Manager and Technology Manager. In 2006, he took over the General Management of the RF Innovation Center at NXP Semiconductors. In 2009, he became R&D Manager of RF Small Signal Products and then RF Innovation Manager. He is currently RF Fellow and Technology Competency Manager at Corporate CTO office at NXP Semiconductors. He holds 34 patents and he is author or co-author of 70 technical papers in the field of Analog, RF and Microwave. 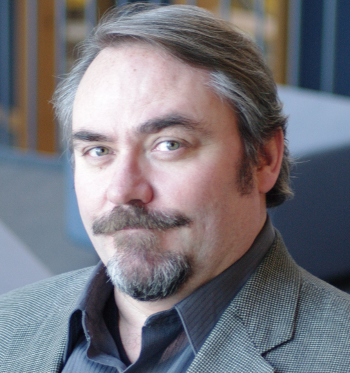 Terje N. Andersen has 21 years of engineering and marketing experience in the semiconductor industry. He holds a Msc. degree in Electrical Engineering from the university of Trondheim, Norway. 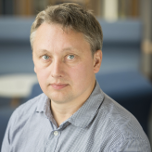 He started his career in 1997 at Nordic Semiconductor as an Analog design engineer in the Sensor ASIC group where he designed Delta-Sigma based electro-mechanical sensor receivers. From 1998 to 2007 he was a data converter design engineer and project manager in the ADC group of Nordic. In 2006 he was responsible for system design of USB integration into Nordic's 2.4GHz RFIC for wireless Mouse and Keyboard. In 2007 he was with the team that started Arctic Silicon Devices (ASD). As an IC design engineer, he designed Pipeline ADCs for a wide range of applications such as medical imaging, low power instrumentation and communications. In 2008 he moved to a marketing position as Strategic Marketing Manager. After the acquisition of ASD by Hittite Microwave in 2011, he became Strategic Marketing Manager for Data Converters, including Microwave and Millimeter wave products for Military applications. In 2014 he joined the electric actuator company Eltorque as a Technical Marketing Manager. At Eltorque, he is responsible for the market strategy, product portfolio development and market expansion including, tactical marketing, technical market analysis, technical improvement of both products and engineering methodology. He is the co-author of 3 international patents and several technical papers in the field of ADC design and Medical Imaging receivers. 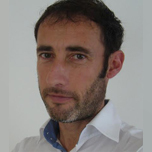 Guillaume has 23 years of experience in RF IC design, project and team management and business-development. He holds a MSc. degree in Electrical Engineering from Supelec. He started his career in 1995 as an Analog and RF IC design engineer at Philips Semiconductor where he designed satellite TV front-end receivers. From 2001 to 2002 he was a principal IC design engineer at PARTHUS-CEVA, a provider of Silicon IP. In 2002 he co-founded ALIASIC, a design house specializing in RF IC design, which was acquired by Silicon Labs in 2004. From 2004 to 2009, Guillaume helped establish and managed a design center with Silicon Labs which developed a state-of-the-art 2.4GHz 802.15.4 SoC. From 2009 to 2011, Guillaume co-founded RFSoC CONSULTING, a consultancy firm designing silicon ASICs and BEELINX, an innovative Location-Based Services provider. He is now with AVNET MEMEC SILICA where he holds the position of Global IoT Strategy Manager. He is the co-author of 12 international patents in IC architectures, IC design and wireless systems.